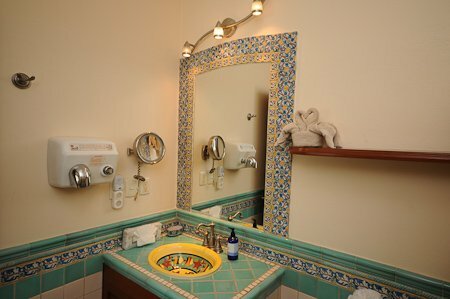 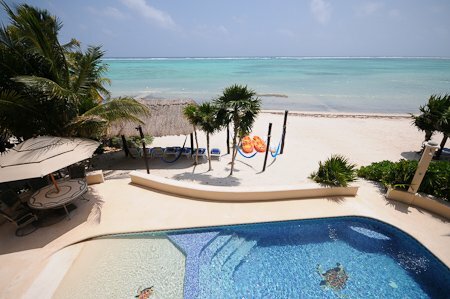 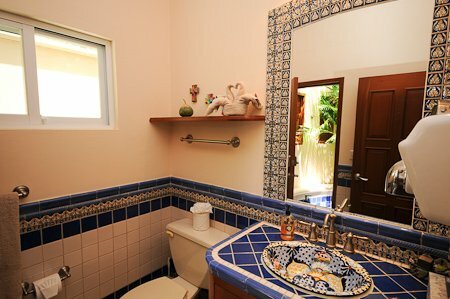 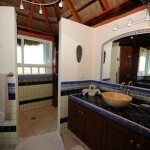 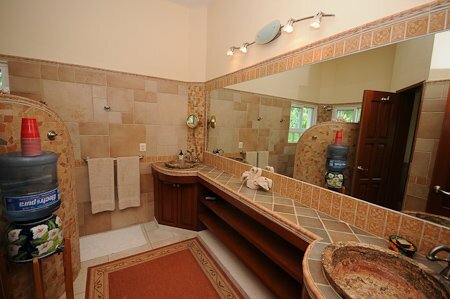 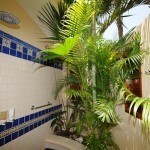 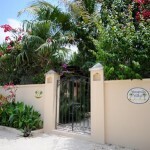 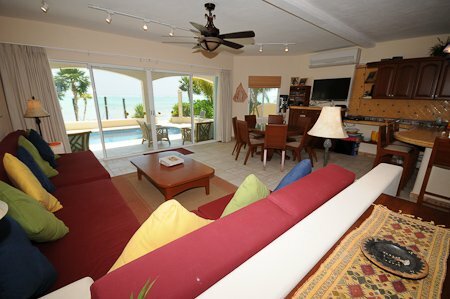 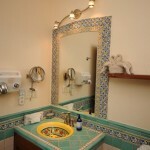 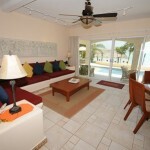 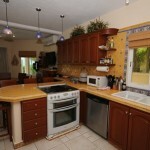 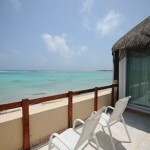 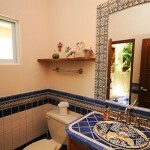 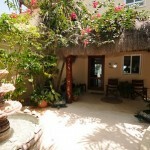 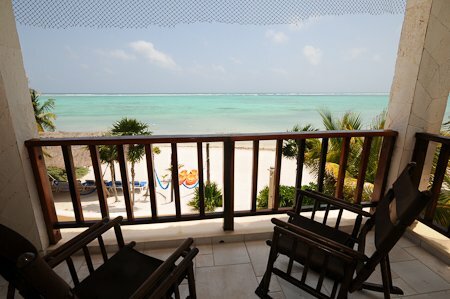 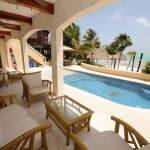 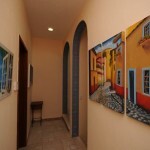 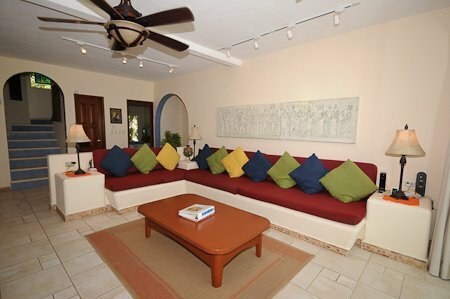 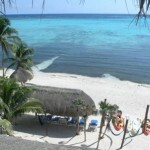 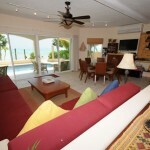 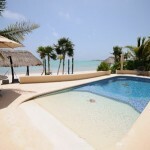 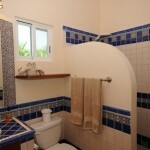 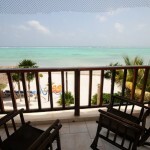 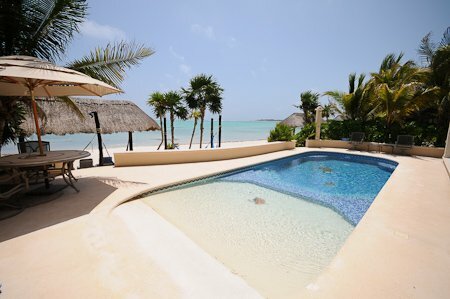 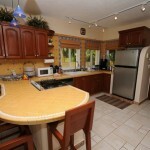 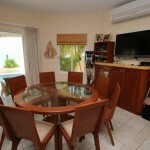 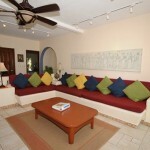 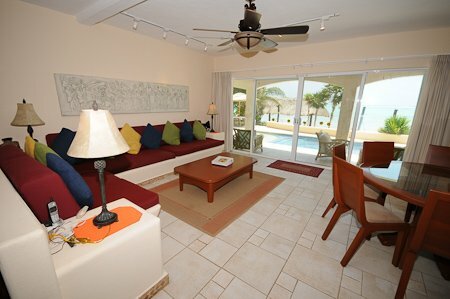 Margarita Villa is a delightful vacation home, situated center stage, on the stunning beach of Soliman Bay. 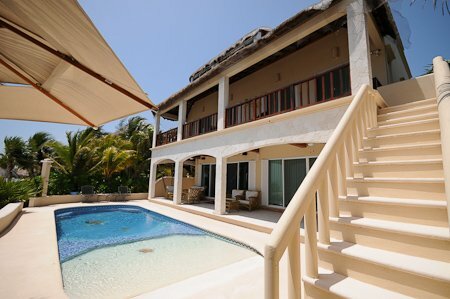 This fantastic villa is fully air-conditioned, has six extra-large bedrooms with a patio or terrace, private en-suite bathrooms and is beautifully decorated with solid mahogany furniture, and traditional, vibrant, Mexican tiles. 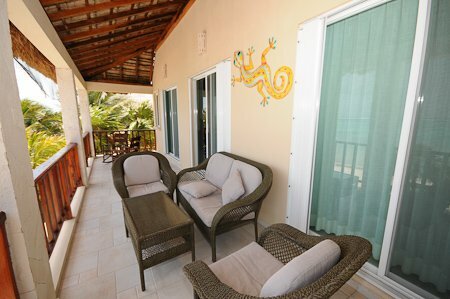 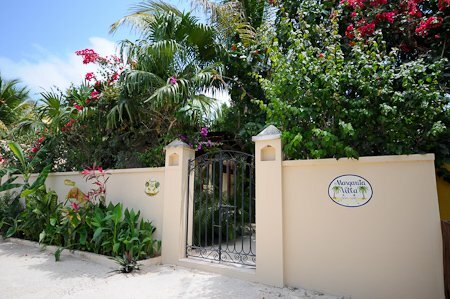 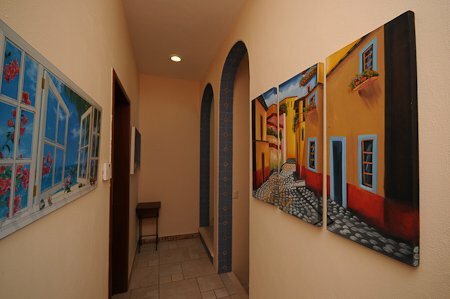 Margarita Villa is thoughtfully designed to welcome children of all ages, with features like baby gates for doorways to safety netting on upper level deck railings; Margarita Villa even has a ‘zero depth entry’ kiddie pool attached to the swimming pool. 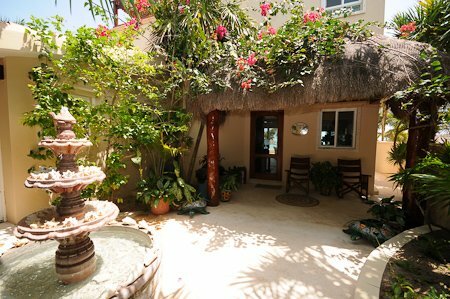 The pool is heated, so it’s enjoyable any time of year and also has lights for safer, nighttime swimming and a pleasing ambiance! 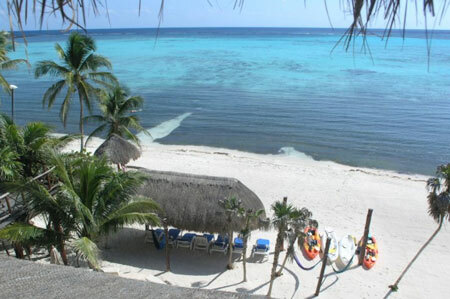 Sea kayaks are provided for cruising around the bay, and the snorkeling here is pretty hard to beat! 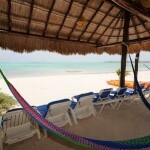 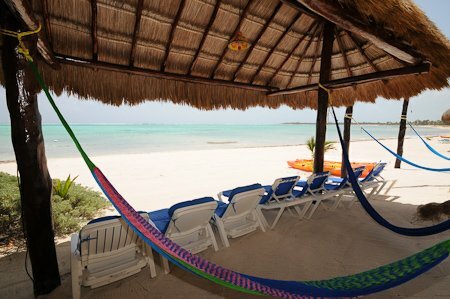 And on shore, with the large beach palapa and chaise lounges on the beach, everyone can hang out together whether in sun or shade. 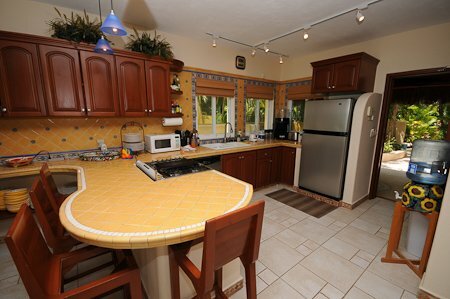 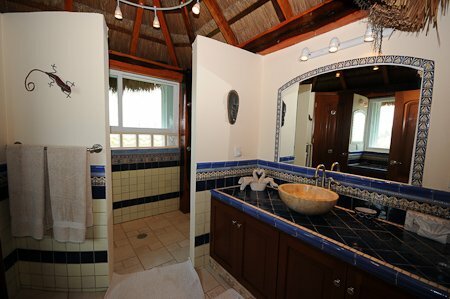 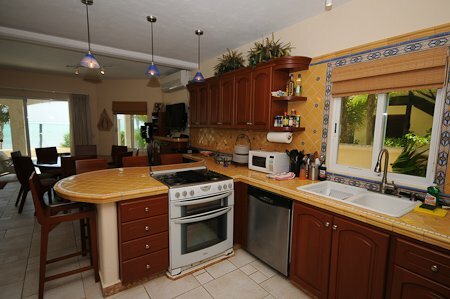 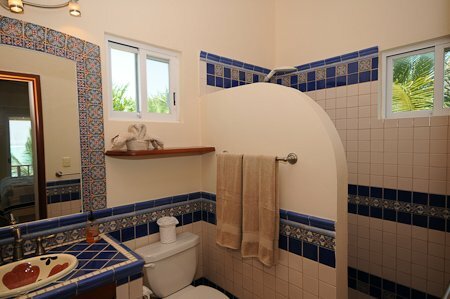 The palapa-covered entry is adjacent to the beautifully tiled kitchen, which includes a breakfast counter with solid mahogany bar stools and coordinating dining table with seating for eight. 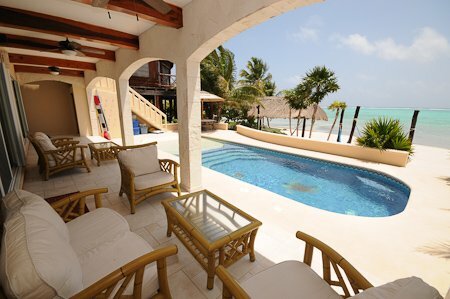 A large, embedded, corner couch offers an abundance of space for lazing around while enjoying views of the pool in this incredibly picturesque setting. 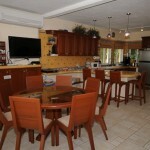 An entertainment center is provided with a large-screen TV with satellite service. 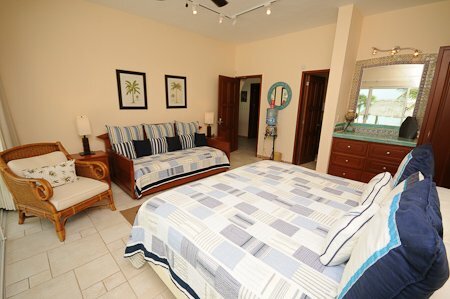 With maid service, pool cleaning and the beach cleaned six days a week, there’s not much left to do but relax and enjoy your well deserved, tropical vacation! 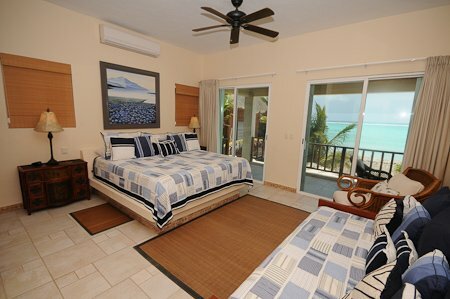 The first floor includes two large bedrooms, with the first one overlooking the swimming pool and beach with a king-size bed and a daybed. 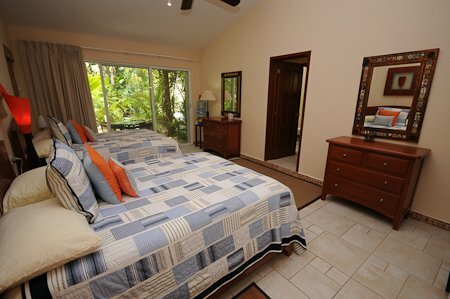 The other bedroom on the first floor is on the jungle side and has two queen-size beds with an arbor-shaded patio, set in a lush, tropical garden, complete a soothing water fountain. 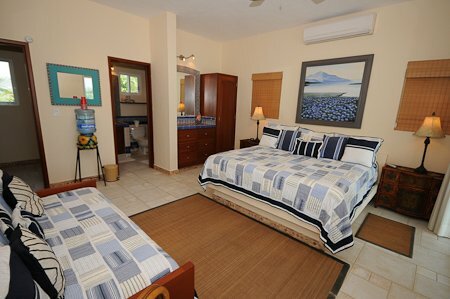 Up on the second floor, there is a large bedroom with a king bed and a daybed. 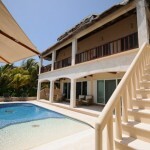 A glass slider leads out to a large palapa-covered deck that overlooks the pool and beach. 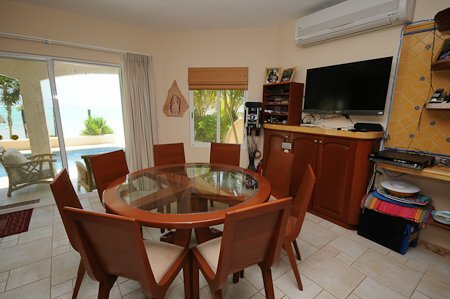 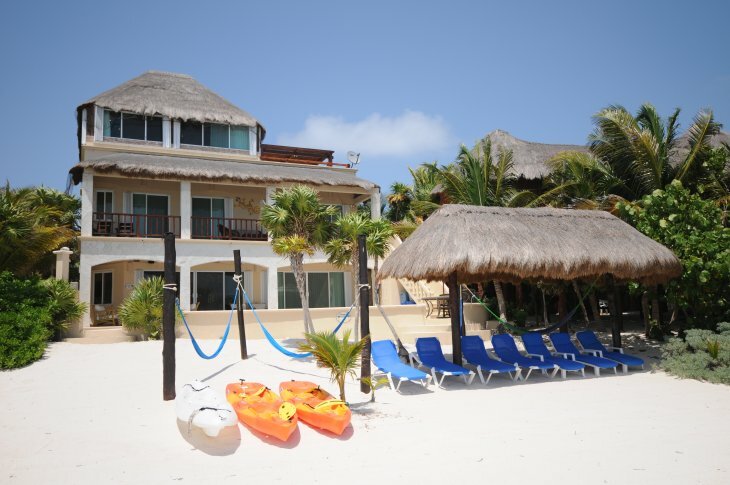 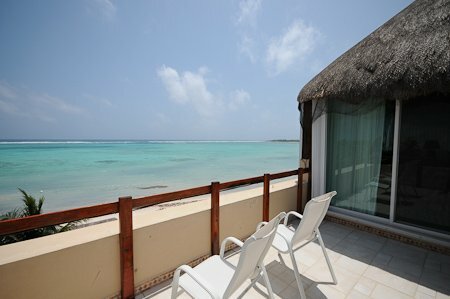 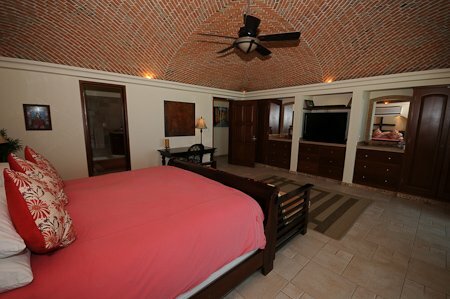 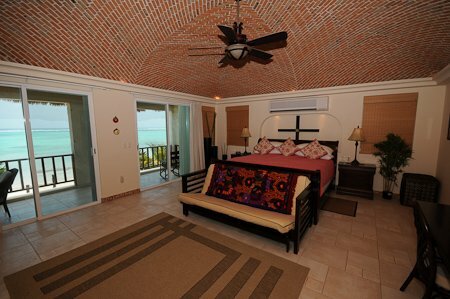 The other second floor bedroom is a spectacular, extra large, bedroom with a brick bovida (domed) ceiling, a king bed, a futon/daybed, a large-screen TV and a slider opening to the same great palapa deck overseeing the swimming pool and beach. 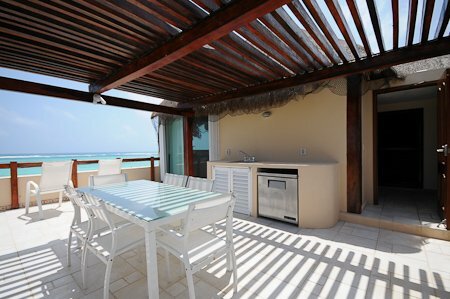 Up on the rooftop is another king size suite with a sofa and fully furnished rooftop deck that overlooks both the Caribbean and the Yucatan jungle. 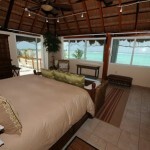 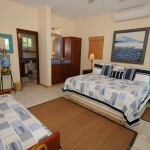 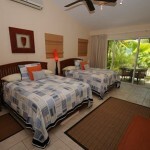 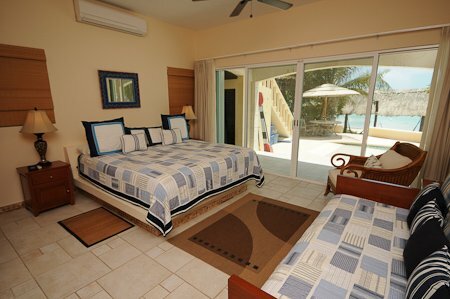 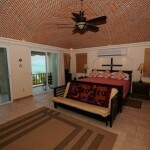 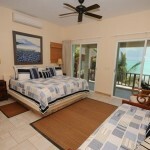 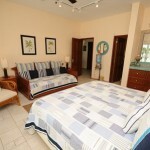 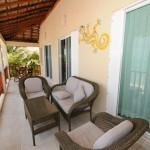 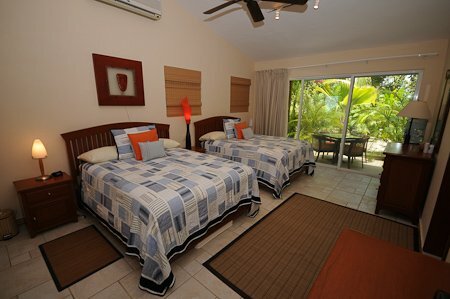 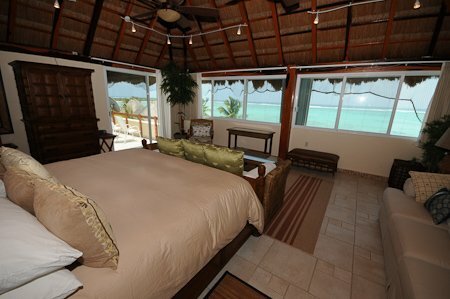 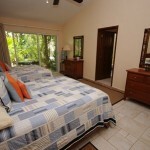 The newest bedroom is located on the 3rd floor with stunning views of both the Caribbean and the jungle. 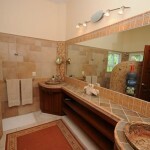 It features a queen bed and ensuite bathroom. 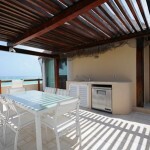 The rooftop deck is great for sunrises and sunsets and the small outdoor kitchen makes for easy casual meals. 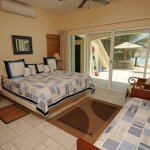 Rates are in USD, per week. 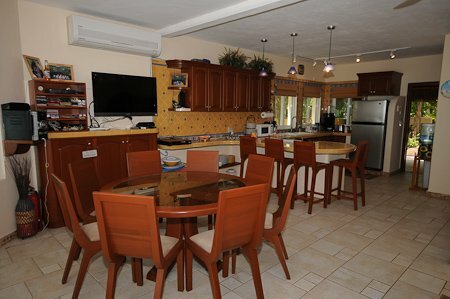 Max Occupancy: 12 adults and 4 children.